Maya & Maya Inc. Has Expanded Its Practices And Is Now Serving Process For The Legal Community. Our superior work product and quick response to serving your process will assist you with your litigation. Proper services of process initially establishes personal jurisdiction of the court over the person served. If the defendant ignores further pleadings or fails to participate in the proceedings, then the court or administrative body may find the defendant in default and award relief to the claimant, petitioner, or plaintiff. Service of process must be distinguished from service of subsequent documents (such as pleadings and motion papers) between the parties to litigation. Summons and Subpoenas – The fee for these documents is $57.50 per paper and this includes the pick up of the legal documents from any law office or office in Miami-Dade or Broward. The documents must be prepared before arrival. All copies and proper forms must be submitted so that it can be served. Upon completion we will prepare a return of service or affidavit and MAIL it to the court only. If you need us to physically deliver the return of service to the court there will be additional $15.00 charge. For first time customer a check made out to Maya & Maya, Inc prior to the service being done. The address on the summons and or subpoena is the address the server will go to. Any research for additional addresses or current location is $50.00 per party. In addition, the $57.50 fee includes 3 attempts after which if special surveillance and or other outside the norm procedure are needed to serve an additional fee will be advised. Court Filing – We will file any documentation needed within Miami-Dade and Broward for $25.00 an hour plus .55 cents a mile. All forms and fees must be provided to the server prior to filing. Foreclosures – we will serve your foreclosure documents and explain to the recipient to contact the law firm and what the contents mean so that they are aware of the action being taken against them by their lender. All Foreclosure service is a flat fee of $135.00 per serve. 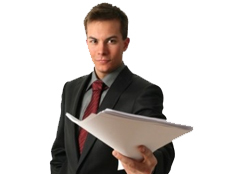 We will explain all process being served to the recipient and the importance to contact the firm sending such process. We are avialable to handle your process at a moment’s notice. Miami Dade County Certified Process Server to find out more contact us now. Whether you need a private investigator in Florida, New York, or California, you need an agency with ethics and values to handle your case. Trust in Maya & Maya, Inc.